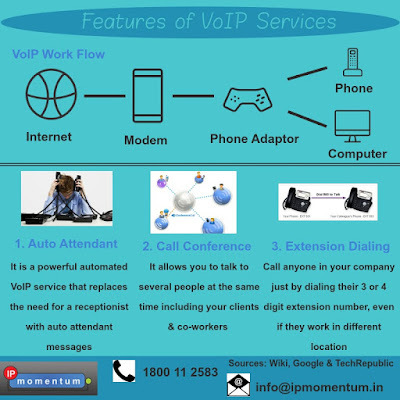 VoIP (Voice over Internet Protocol) is one of the rapidly growing technology that uses a local area network (LAN) and the Internet for phone calls, instead of ancient phone lines. 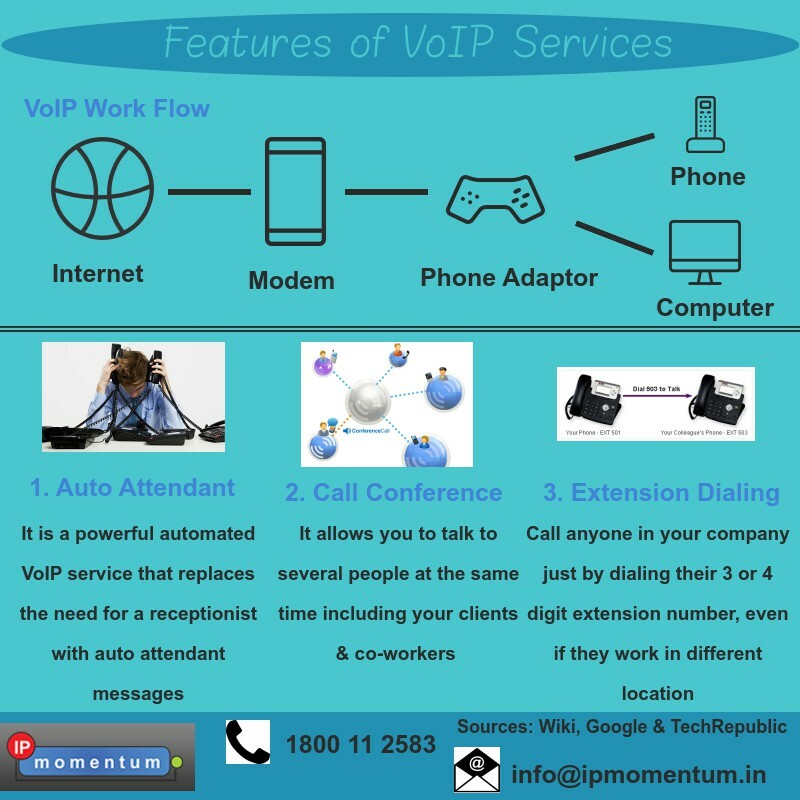 As VoIP has rich features, that help your business to be on top by providing lower call rates, call conferencing, auto attendant, extension dialing, call waiting and other features. The decision of changing your phone system to VoIP services is not that easy and may acquire some speed bumps along the way. VoIP services offer functionality that many individuals, SMEs and large enterprises overlook. Beyond options like voicemail, toll free numbers, call waiting, remote operation and call forwarding, you will find a host of other features that can help your business. Less Expensive Phone Service: By dropping your ancient phone system and switching to VoIP communication service will help you to reduce your long distance costs. It also provides you with a wide range of service plans where you will only pay for what you use. Convenience: As we all know that VoIP Service includes numerous of features when compared to a normal phone. It brings features like call waiting, call routing, call conference, voicemail to email, auto attendant and advanced call reporting. you need not worry about the outward appearance as, it looks same like your ancient phone system, which is user-friendly which will ease the learning period and transition of the phone system. High Flexibility: VoIP's main advantage is flexibility, as it allows the user to log in to the phone system remotely from anywhere around the globe and receive all the benefits as if your working from your workplace. Even if your calling from a different location your number remains the same and you can also connect with your coworkers using their extension numbers. Eliminate Phone Wiring: Are you worried about those numerous phone wiring? Now stop worrying as VoIP services help you to eliminate phone wiring, as it only uses the existing internet cables. As you will be dropping your current telephone provider yo can remove your phone cabling in your building. Easier to Manage because of Web/GUI Based Configuration Interface: As VoIP services use Web or GUI which allows you to easily maintain and find tune your phone system. If your thinking to switch to VoIP services, then it makes a lot of sense as it helps you to save a lot on management, maintenance and call costs.